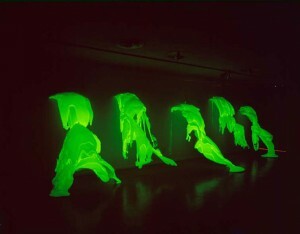 Sculptor Lynda Benglis is known for her wax paintings and latex sculptures that see organic imagery confront new media. Here, the New Museum presents a retrospective featuring many of the works that influenced and continue to influence the art world. With sushi that’s 50 percent off all the time, you might think, “Something’s wrong with that?” but the fish is good and the rolls are inventive, making Oyama one of the best low-priced sushi joints in the city. Though St. Marks all of a sudden lost its charm, Grassroots Tavern hasn’t. This large dive bar has cheap drinks, darts in the back, and old men behind the bar, things a good dive bar should have. Excellent coffee served in a big mug and a healthy menu of food coupled with a year round enclosed outdoor backyard patio make Mudd Cafe a great little coffee shop in the area.